Whether to stain your hardwood flooring or not, is often a big decision and it’s a process that typically requires and expert to conduct as there are some hardwood floors that do not typically need the staining process. Naperville Hardwood Floor Refinishing can provide you with the professional feedback and skill you need to determine if hardwood floor staining is appropriate for your flooring. There are a wide variety of wood species and as a homeowner you should be well informed about whether your hardwood flooring species needs staining or if natural wood is a better option so that your flooring retains is lifespan and market value. Your hardwood flooring is a big investment and it should be treated with great care. Wood rot of flooring happens when your flooring encounters issues like long term moisture and mildew as well as pest infestations such as carpenter ants and termites. Unfortunately once wood rot is present a hardwood flooring expert is not able to stem the rot. Instead wood must be replaced. But hardwood floor staining is an excellent strategy for preventing wood rot. 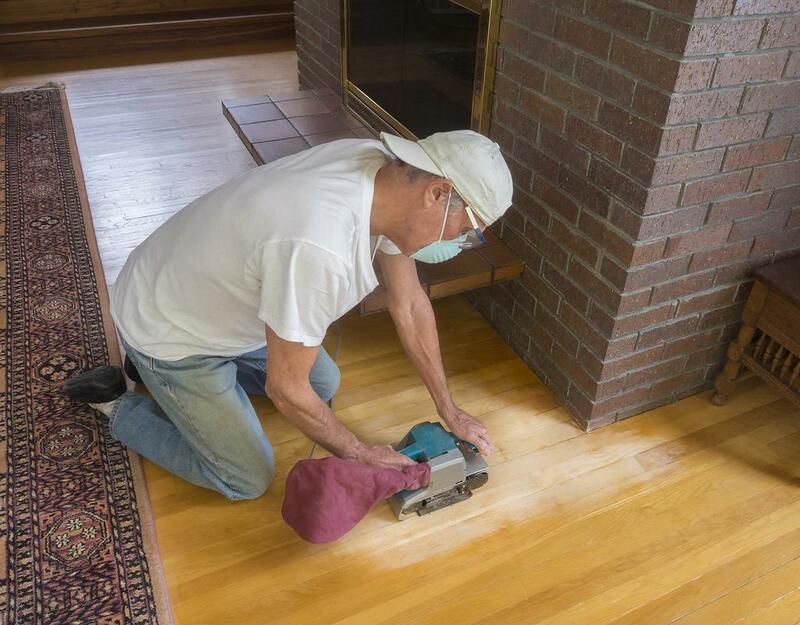 Naperville Hardwood Floor Refinishing stains floors with efficiency and speed you need to protect your floors from this type of damage doing any less can cost you thousands of dollars in replacing your investment. We can’t live without the sun, but it’s harsh on hardwood flooring. Aside from water and moisture rot, the sun is also a potential element that can cause severe damage to your flooring if you are not careful. If your hardwood is not protected with staining process, the sun is very capable of creating severe discoloration that can look unattractive and produce and effect that requires expert repair to restore it to its original beauty. Wood stain is able to help you prevent this time of wood discoloration so that you can keep the stunning effect of your wood without having to worry about the effects of the sun. If you have an older wood floor chances are it may have lost some of its luster but it most certainly is capable of restoration. Staining your hardwood floors are refinishing can return them back to the original color of their installation. Or you can change the color or tint to something very different that your original style. You can even use stain that keeps the natural appeal of your hardwood floors. Either way you can rejuvenate the look of your hardwood flooring when you decide to stain them again after a refinishing project and our expert hardwood flooring contractor can provide a wealth of ideas for guidance. Making the decision to stain your wood flooring can seem like an overwhelming prospect given that there are so many options and benefits to doing it. When you compare the cost of painting your hardwood, it is often a far more affordable and efficient project that lasts a great deal longer than painting your hardwood flooring. Naperville Hardwood Floor Refinishing has a wealth of ideas to help you decide and we will ensure that your hardwood flooring is protected.